BUILT TOUGH FOR YOUR TOUGH WORK CONDITIONS…. For over 15 years Rich Specialty Trailers manufacturing plant has been designing and building custom trailers including oil field trailers. 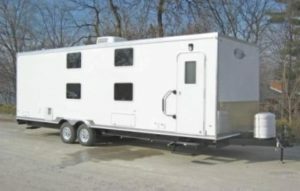 FROM BUNK HOUSE TRAILERS TO SAFETY SHOWER TRAILERS RICH SPECIALTY HAS THE FLOOR PLANS TO MEET THE NEEDS OF THE OIL FIELDS. 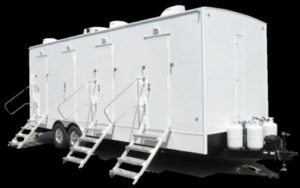 Restroom trailers are built and offered for sale in models such as two station mobile restroom trailer, or larger multi-station restroom trailers. Trailers are built and sold directly for use as mud logging and well monitoring. 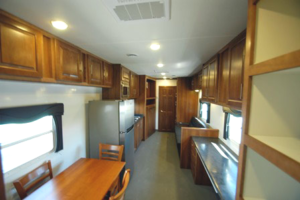 These oil field trailers are industrial in design with features such as diamond plate interior wall coverings and large I beam chassis structure. Including fully insulation and heating systems to withstand the harshest conditions. For the large man camps we also offer bunk house trailers. These trailers offer multiple sleeping bunks with storage below and can be designed and built with restrooms and holding tanks in the trailer. Standard oil field trailers can be modified to create a custom trailer floor plan to meet your special drill camp requirements. 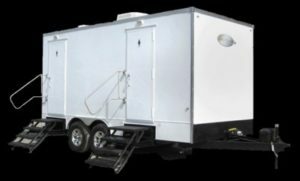 In addition to oil field restroom trailers Rich Specialty Trailers has builds oil field shower trailers from 2 to 12 stations. 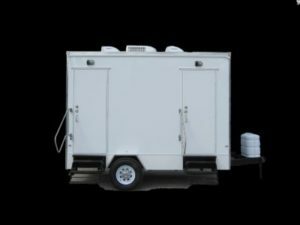 Along with durable construction features some main key features for the shower trailers include large waste holding tanks, on board fresh water tanks and on demand gas water heaters. 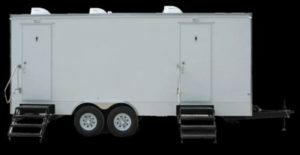 These oil field trailers are built with just shower stalls but are also offered as combo trailers that include both shower stalls, toilets and urinals stalls in the same trailer.